Crip Walk – Learn how to do the Crip Walk! Below you will find 7 Instruction Video's showing you how to Crip Walk – performed to a popular C-Walk Song Xzibit – Get Your Walk On. Includes step by step guide to help you get your walk on! Serena William’s not only holds securing a career Golden Slam in tennis, she now holds the record of being the first sports person to do the C-Walk in the Olympics! The Crip Walk originated in the 1970s in Compton, a suburb of Los Angeles, California. The Crip walk is often referred to throughout many rap songs, including Xzibit tracks such as "Get Your Walk On" and J-kwon's "Hood Hop". The C-Walk was originally a symbolic dance strictly for Crip gang members in the early 1980s in South Central Los Angeles, however by the early 1990's the dance had evolved into a popular hip-hop dance. Today the dance is known to many as the "Clown Walk". The dance was originally used by Crip members to spell out their names and other Crip symbols. Gang members would often spell out the word "Bloods", the name of their rival gang, before crossing it out with a nimble movement of the feet. It is believed that the Crip Walk was used as a signal to initiate robberies – a lookout would scout out a location while other crip members watched and waited for the C-Walk to signal that the coast is clear. It is also believed that the Crip Walk was performed soon after the slaying of a rival gang-members. Today the C-Walk has received mass media coverage and now has now become mainstream after West Coast rap icons such as Ice-T and WC performed the dance live on stage. Rapper Snoop Dogg has made it very clear to his listeners that the dance is dangerous and should not be performed by non-gang members: Snoop Dogg – Streets "And just cause we talkin', what you doin' C-Walking? It's not just a dance it's a way a' living Now if ya C-Walking, ya best to "see" Crippin' And that goes for kids too, and R&B singers N1gga quit Crip-Walking if ya ain't a gang banger" In an attempt to perform the same style of dance while distancing itself from previous ties, variations on the dance such as the Clown Walk have appeared. The original move has been now labeled The "V". This move involves moving your body by making "V" shaped movements with the feet. Bouncing around in the "V" motion allowed gang members to spell out names and words. The Shuffle – This involves moving the feet backwards and forwards. This style of dance appears in Snoop Dogg's music video "The Streets"
The Heel-Toe – This move involves crossing on leg to make a part twist with the toes and heels. This move involves your right foot being directly at 90 degrees behind the left foot to make the partial twist. It is said to be a much harder move to learn. This move has recently been popularized as one of the major Clown Walking techniques. The Snake – This is another Clown Walk movement. The dancer must move his front leg left and his right on his heel, shortly being followed by his back leg. Misspelled and Altered spelling In recent times The Crip Walk or C-Walk has been referred to as the "Crypt walk", "Krypt walk" and "Krip walk" – Possibly by mistake, or possibly to remove all reference to the original dance. a) Stand up with both feet together. b) Jump & turn towards the right slightly. c) Land with right foot in front on heel & left foot towards the back on toes. d) Jump & turn slightly to the left and land how you began, with both feet together. e) Do the same with left foot in front as you turn slightly to the left. Explanation First stand up tall & relax. It will look strange if you're all tense. Now, position your feet about 3 inches apart. For people right handed, start with your right foot, for people left handed start with your left foot. Now make a baby step hop on to your better foot. Your foot should end up at a 45 degree angle & your toes should be up with your heel on the floor. Then you slightly bend your knees & put your foot down. Repeat the same pattern with your other foot. It sounds pretty confusing, but it's not. It just takes time & effort. Tip: You can add some quick jumping to the left and right rapidly, harlem, wave, whatever for style. 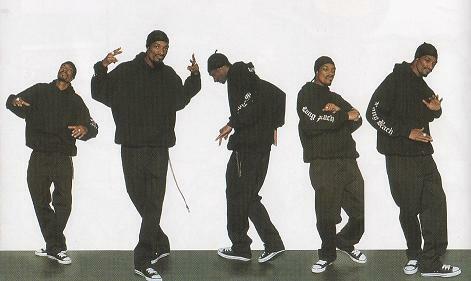 But for the basic concept of crip walk, the above explains it well. Thanks to hiphopjamz.com for the Instructional Guide. Any way I’ll be subscribing to your augment or even I fulfillment you get admission to consistently fast. Yo Dog– we met back in ’06 at yo birthday bash (that shi was crazy, dawgg) We should kick it soon and bump some old X, maybe watch a few eps of PMR.